Mechanical, Electrical, and Plumbing Engineering | C&J Technical Solutions and Services, Inc.
C&J Technical Solutions and Services, Inc. (CJTSS) is a Mechanical, Electrical, and Plumbing engineering consulting firm. We specialize in power distribution, grounding, standby and emergency power systems, mechanical systems including process piping, alternative fuels, HVAC, Plumbing and Energy Engineering. Our team strives to meet our clients' needs and expectations. The firm was founded in 2003 and incorporated in 2005. CJTSS is certified with LA County Metro as a Small Business Enterprise (SBE) and a Disadvantaged Business Enterprise (DBE). CJTSS is also certified as a DBE with the Florida DOT and Utah DOT. CJTSS currently holds professional licenses in over 35 states and Guam. CJTSS has P.E. licenses in British Columbia, Alberta and Ontario, Canada. CJTSS is a member of the AABC Commissioning Group and has a CxA and CxT on staff. CJTSS has 1 LEED AP on staff. In addition to design, CJTSS also specializes in energy analysis studies and efficiency projects. Our work includes: field evaluations, retro commissioning, commissioning, development and application of optimized controls operating sequences to improve energy efficient operation of mechanical systems, trouble shooting of mechanical and controls systems, design of energy efficient systems for both new and retrofit applications mechanical systems, and designing controls for lighting, HVAC and other mechanical systems. 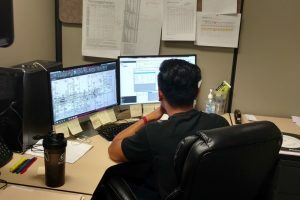 We believe that professional engineering services should focus on providing a consistently high quality end-product that is an appropriate fit for each client’s time and budget requirements. The firm’s success is founded in its unique ability to provide large firm capabilities with a controlled size staff. Our most senior staff are intimately involved in every project and are, in turn, able to provide the most cost effective and efficient solutions and services to our clients. 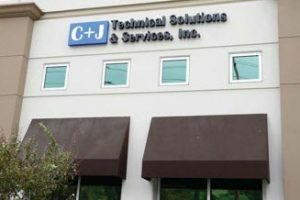 C&J Technical Solutions and Services, Inc. has established a loyal client base and strives to maintain these professional relationships. Through dedication and commitment to advancing technology we offer our clients professional consultation as a leader in the field of engineering. Client satisfaction is the foundation of our company and the commitment and competency of our staff is the key for offering excellence to our clients.